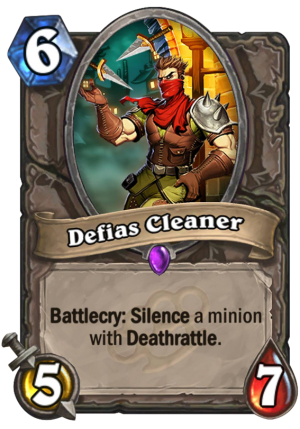 Defias Cleaner is a 6 Mana Cost Epic Neutral Minion card from the Mean Streets of Gadgetzan set! Rating: 3.0/5. From 470 votes. Ironbeak Owl do better. This card is a totally crap! Apart from the high mana cost, how is this crap? 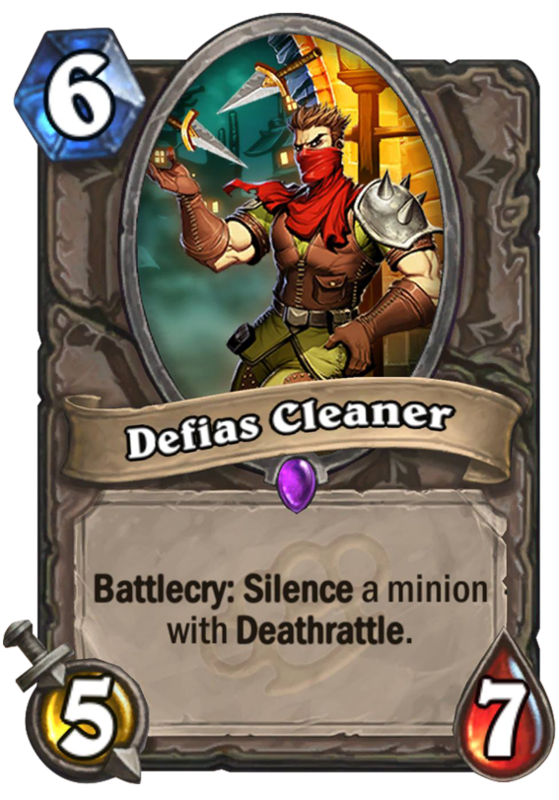 It silences one of the best legendaries in the game, it also trades with it and survives (not to mention other subpar cards). Please don’t post before you evaluate all options.